Taking a math test is very different from completing a review packet brought home from from math class. Even if your child performs well in class or on their homework, they might still struggle during timed tests. This doesn’t mean that your child isn’t skilled at math; rather, they simply haven’t been taught how to study math. Below are some strategies for studying math that will help boost your child’s math knowledge and test scores. The first step in studying for a math exam is to have a keen understanding of the fundamental knowledge taught in math class — such as the formulas and terms. Your child should think of these as the tools they can use to solve problems. Instead of seeing each problem as a unique problem they need to tackle, they can use their knowledge of these basic principles to find patterns in this problem and see where these tools can be applied. Your child can also write formulas and terminology on flashcards to help commit them to memory. Reviewing these flashcards every day during the period leading up to the exam can help your child internalize this knowledge and make it easier for them to recall these concepts during the test. 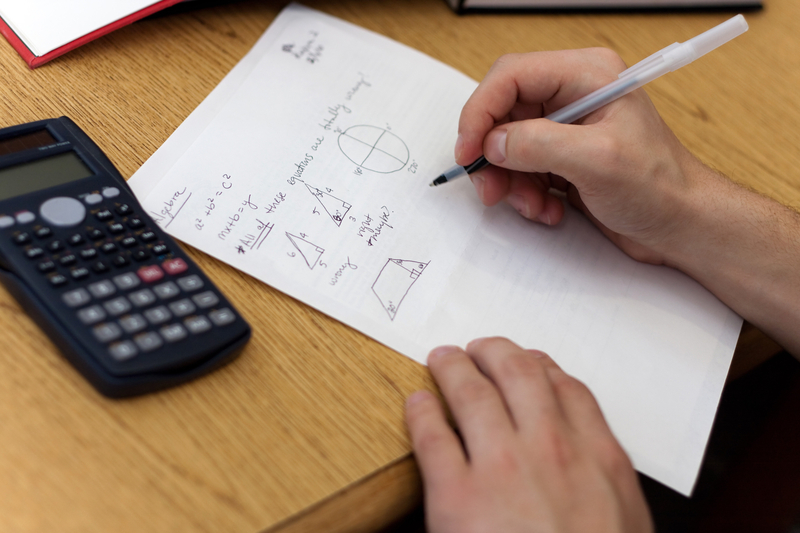 Reviewing old assignments from math class can help your child practice for an upcoming test. Realizing why their original answers were wrong can help them understand how to arrive at the proper solution. Your child can also jot down how to solve the old problems and review the materials for practice. Many students cram or pull all-nighters studying for math exams. This can lead to mental exhaustion, making it difficult or impossible to retain information. In the week leading up to the exam, your child should study relevant class material for 60 minutes each night. This will give them enough time to prepare for the test without feeling rushed. If your child is falling behind in math class, the instructors at Mathnasium of South Windsor, located in Hartford County, CT, can provide them with a tailored study plan. Unlike other educational centers, they will diagnose the causes of your child’s performance issues and focus on fixing these issues, rather than simply helping them with homework. To sign your child up for math tutoring, call (860) 432-7794. Visit Mathnasium of South Windsor online to see their schedule and follow them on Facebook for brain teasers you can share with your child for extra practice.